I have recently open sourced Falcon. 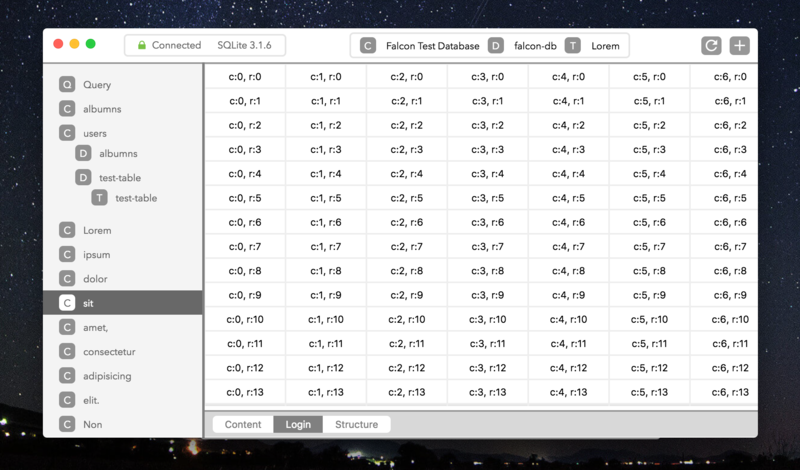 Falcon is a modern, cross-platform SQLite database client. It is in a very experimental stages at the moment. Adding support for MSSQL, MYSQL, PostgreSQL, Mongo, and other clients will be a high priority after pushing an initial stable version of the client. Editors such as VSCode, Atom, and Hyper have seen huge successes because they allow developers to install plugins which can be written in Node. This allows users more fine grained control over their own experience and ability.